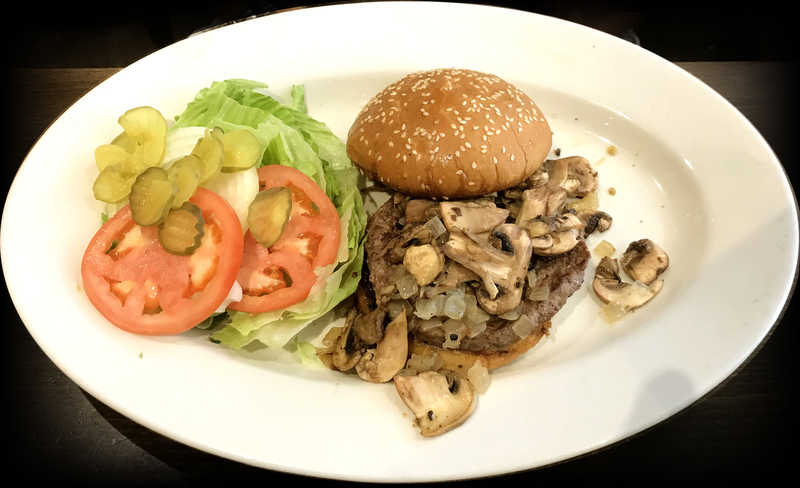 Mushroom Burger comes on either a white or whole wheat bun, and includes mushrooms, caramelized onions, lettuce, sliced tomato, pickles, and 1 choice of; cole slaw, pasta salad, potato salad, warm apple sauce or Pinocchio potato chips. A restaurant featuring the finest American/European food in an European Atmosphere in beautiful Palm Springs, California. Located in downtown Palm Springs, Pinocchios in the Desert is a relaxing bistro setting with outdoor patio that is both heated and air cooled. Pinocchios features an extensive menu for breakfast and lunch with a large wine and beverage menu. Come and experience the newest restaurant experience the desert has to offer!